We all have heard stories about criminals getting life prison sentences for their hideous acts of crime. But what about animals, do they have a trial, do they attend a hearing and a judge presides over and sentences them to jail. 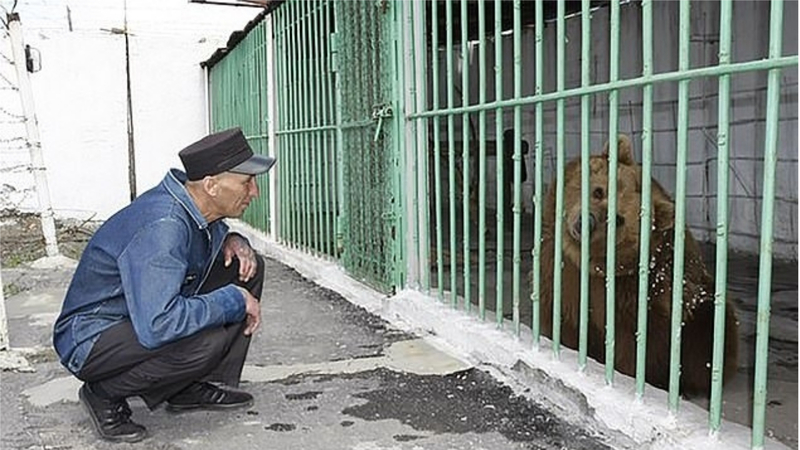 In this story, such a thing did happen to a bear call Ekaterina. 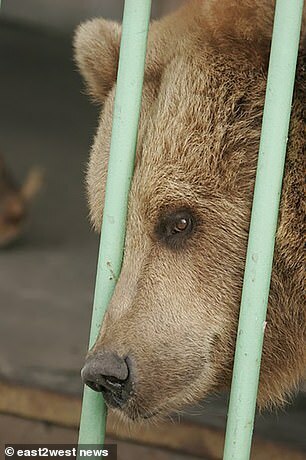 Ekaterina was a cub when she was abandoned by her circus trainer back in 2004 and was caged at a campsite called Belaya Yurta in Kazakhstan. According to reports, she had attacked two people at the campsite. The first attack was on a 11 year old boy who tried to feed Ekaterina and she actually grabbed his leg and he suffered some very serious wounds and has been traumatised with shock. The second attack happened when a 28 year old drunk man tried to shake hands with Ekaterina and she mauled him. East2West news reports, Fearing that she may attack again and due to the fact, there is no zoo in the region, they had to imprison her along with many criminals whose prison sentence do not exceed 25 years. 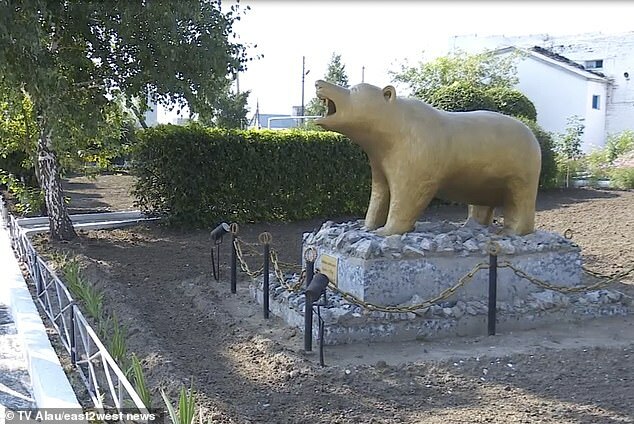 The bear is being looked after by the prisoners and in honor of the bear, they even erected a statue to her as she is now become a symbol of the prison. The bear is also provided with a swimming pool unlike the other prisoners. Many state that she is not aggressive to them at all and in fact adores the goodies they give her. They feel she has become less aggressive due to the number of years she has remained in prison.